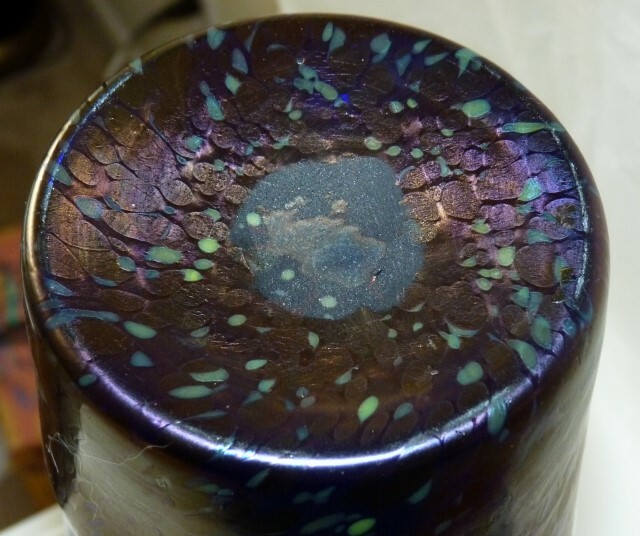 ﻿ TheGildedCurio.com -- Kralik Tall iridescent dimpled vase Striking papillion like finish. Cobalt glass full range of colors. 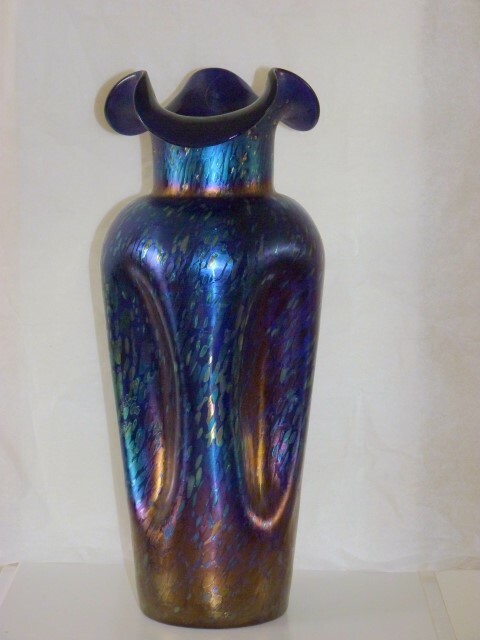 1127 -- Kralik Tall iridescent dimpled vase Striking papillion like finish. 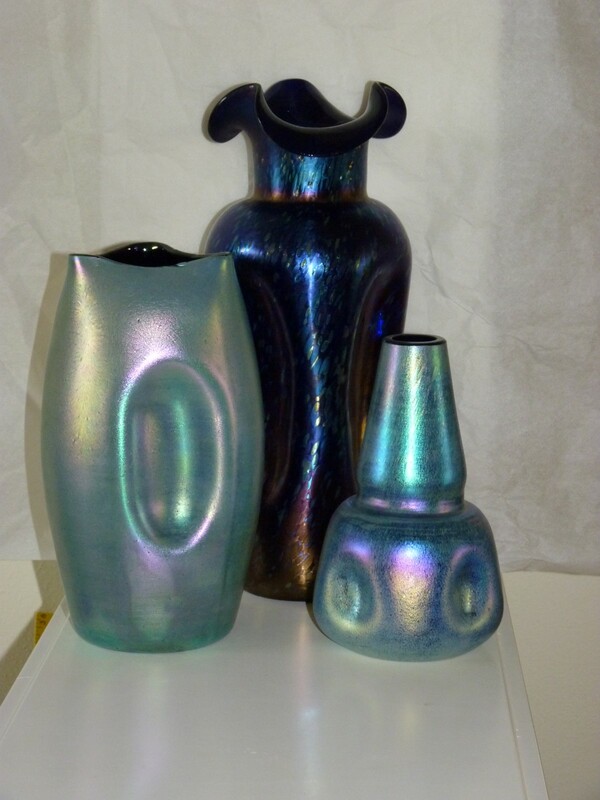 Cobalt glass full range of colors.